As fashion evolves and styles change, one thing remains consistent: students, faculty, alumni and fans love wearing spirit gear to represent their schools. They also expect a wider assortment of merchandise than ever before, selected to match a variety of preferences, styles, budgets and stages of life. If they don’t find what they’re looking for at the campus store, they’ll take their business elsewhere. Barnes & Noble College understands campus store merchandising, drawing upon decades of retail expertise and industry insights. 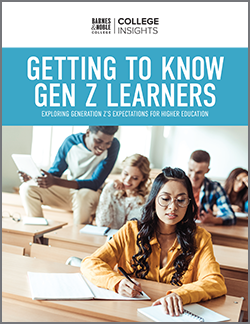 Following are some of the unique ways we deliver exactly what customers want — and bring more value to colleges and universities by protecting the school brand and driving revenue. No one knows their campus community better than the people who live and work there. 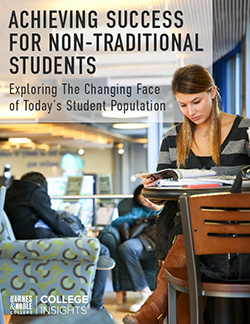 Barnes & Noble College empowers campus bookstore teams to make many buying decisions at the local level, backed by centralized resources and support. Each store manager can order the merchandise that best resonates with their unique campus, regional preferences and demographic trends. This goes against the grain in the industry, where some companies offer essentially the same merchandise in most campus bookstores, simply switching out school logos. Walking into a campus store operated by Barnes & Noble College offers a distinct experience not found on any other campus — from the merchandise to the school-specific décor, everything is tailored to the individual school and community. Barnes & Noble College has a deep understanding of the latest retail trends and consumer preferences, built upon insights from Fast Forward, a globally-recognized trend service; in-depth retail immersion and trend shopping; merchandise data analytics; and proprietary research conducted through our College Insightssm platform. 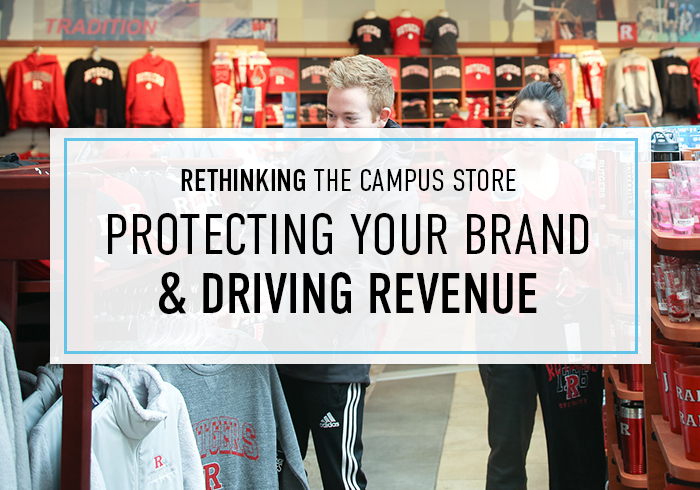 This expertise guides us in curating the right merchandise mix for each campus. We help establish a core assortment for each store, and the local store team enhances the offerings by selecting custom colors, silhouettes, sizes and graphics. Fourteen years ago, Barnes & Noble College created Red Shirt, our proprietary brand, to create custom school spirit merchandise that fills gaps in the marketplace and responds to the evolving tastes and preferences of customers. In the Red Shirt and Red Shirt Athleisure product lines, we offer apparel and related products like hats, flip-flops and backpacks, continuously updating fabrics, silhouettes and colors to match the latest trends. We also have total control over the product development and manufacturing processes, ensuring that we have an efficient and socially-responsible supply chain. Customers love the Red Shirt merchandise selection, resulting in a booming $15 million retail business. • Punch Out — e-procurement solution offers institutional control, complete transparency over spending and easy vendor management. • Customized Clothing & Gifts — custom, branded eCommerce sites / on-demand production. • Ignite CX — An advanced fundraising platform that creates custom web pages to sell gear, promote causes, raise donations and increase awareness. Through Promoversity, administrative and academic departments, as well as campus groups and organizations, can order branded merchandise. It can fulfill individual orders quickly and efficiently, ensuring that the content and quality is appropriate for the school and all products are sourced from vendors that meet fair labor standards. To meet the demands of today’s customers, encourage school spirit and protect revenue, colleges and universities need a partner who understands the nuances of retail and brand management. This proven expertise will help ensure the campus bookstore delivers a tailored experience and continued value.